Yes, that is right, I am in Taipei in Taiwan, checking out the sights the sounds and the camera/photography scene. Taiwan is a pretty amazing place, with loads to see and do. It is pretty much street heaven, as there are so many people and so much going on that you can just find yourself shooting like made. The people are really friendly and don’t seem to mind having their picture taken. More than anything they just seem to be a bit confused as to why they are the subject of a photograph. There are so many little side streets and such hustle bustle that you will soon find yourself completely lost (as I have) and shooting like mad (as I have). Sadly I was in for a bit of a shock. It seems that the stores here don’t hold much cop for old stuff. This was the window of the first place I went into. Notice that all of the cameras are clear wrapped and not boxed, very different from the norm. 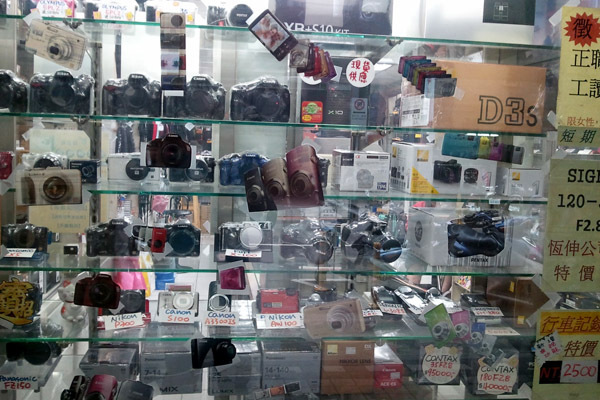 They told me that they didn’t sell classic or used cameras and they didn’t know anywhere that did. Which was clearly a load of rubbish, as the shop next door was! Next door only had a couple of terrible looking old F2’s, but they did have a reasonable selection of film (the only store I found that did). Yeah, look at those prices. 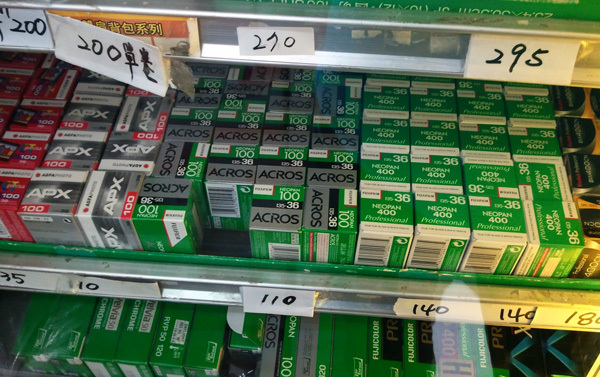 NT$110 for a 36 roll of Acros? That is about ¥285 or $3.79, which in my book is pretty damned cheap. I wish that I could get it this cheap all the time, but I had to make do with stuffing my pockets with as much as I could:) The same store was also selling a load of dev tanks etc. 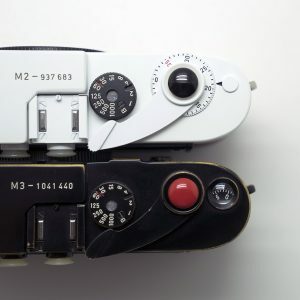 So it seems that there are at least some people who are using film. I didn’t seem any LF stuff though. And this is what I found. An original Green Millenium M6 TTL, number 249 out of 300. 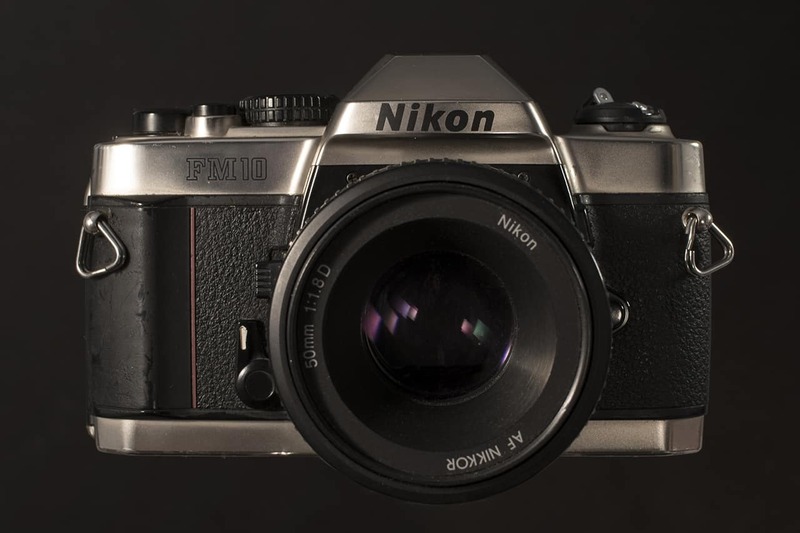 Not a bad looking camera and not an easy camera to find at the best of times. Notice the shrink wrap? Yeah, well that was one thing that turned me off. I asked the price of the camera and was shown a ticket for NT$170,000 (US$5250 ¥404000)! Gulp, but still, if it is perfect and comes with all of the gubbins then it just may be worth it. So, I asked if I could have a look at the camera without the wrap. Which is where I hit the wall. He was not prepared to unwrap the camera unless I bought it. Now I would understand if it was a cheap camera, but 5K is a boatload of cash and I want to test the damn thing to make sure it is working. But he said no dice, you cannot test, you buy. No chance matey. Sorry, but I need to test something before I sell a kidney for it. And then as soon as it had started it was over. The end of the street was reached and there was nothing else to see other than a smattering of generic close stores selling the same thing. No lenses to be found, hardly any used gear, and crazy prices for the stuff that was rough at best. The staff didn’t seem to know what they had and were all very impersonal. No bargains to be had. I have been out shooting for a few days now and I have not seen anyone with anything other than a ‘tourist’ camera. No classics, no rangefinders, nobody shooting street just for the hell of it. I am sure that there are shooters here, and I would have loved to meet them. If you are shooting in Taiwan let us know and we can meet the next time I am in Taipei. You see, despite this, Taiwan is an awesome place to go and take pictures. The streets are loads of fun, there are loads of characters, the food is amazing and the place is dirt cheap (got a beer for about $1!). And what the hell, perhaps we could arrange a street workshop there too, that would be an awesome time for sure. Perhaps you are in Taiwan or know someone who is. Please comment and let us all know about the scene there. Please post ANY photos of camera shops. I have some from Guangzhou, China. If you wish to visit Guangzhou and Shenzhen some time, let me know. I can help arrange a visit to some real repair shops and big referb shops. Nothing like MapCamera and still a big step below Fujiya of Nakano. Good luck in Taiwan and safe travels. 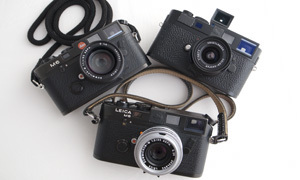 looks like there’s no place like japan for camera hunters! It’d be interesting if your clients/ buyers added their own reviews too about the cameras that bought from you. I visited Taiwan in October 2011, it was a great time. Many people on the streets and many interesting places to explore. You can hit up my friend, Hally Chen. He shoots, and his an awesome guy. I can also recommend two locales where you are more likely to run into (film) shooters. Songqin Street, No. 50 – at the intersection of Zhuangjing Road and Xinyi Road, Section 5 (near Taipei 101) The best time to go is on a Saturday afternoon. The best time to go is Friday night, and weekends. It sounds like you enjoyed Taipei. Do tell the next time you are in town. 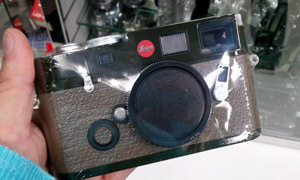 There used to be a Leica/classic camera store near the top of Bo Ai. It is close to the old city gate under the bridge. There is another camera street that t-bones into Bo Ai near a jewelry store. It also had a small shop with classics. Bellamy! Next time you are here tell me! As far as used goes, from what i’ve been researching, the internet is prob the best place to go. I was quite disappointed with the used market as well here compared to Japan. There are film shooters here, but they are hiding! Hi, I’ll be travelling to Taiwan next week. 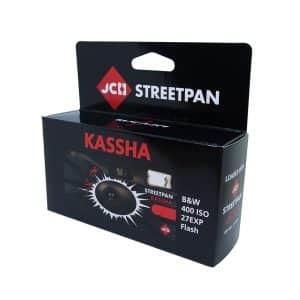 Looking forward to buy a sigma 10-20mm wide lens for my d5100. any idea where to get? 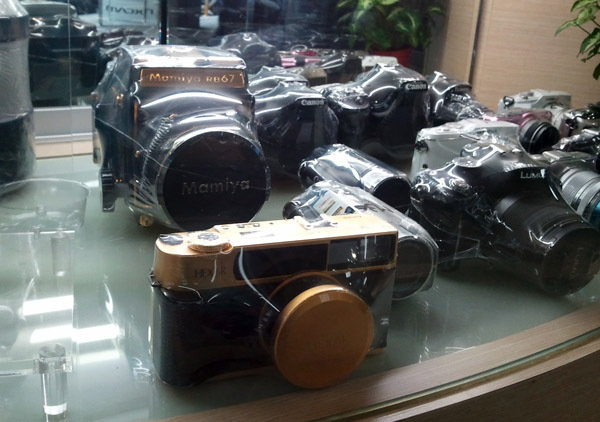 Taiwan is definitely not the place to go for classic cameras. I’ve been in Taiwan for 14 years (until 1992) and i repeatly come to Taiwan every year. What i can tell you here is dry land for film cameras. The shops are focussed on modern cameras and cheapest price. But to be honest the price levels here are one of the highest für cameras. You can buy cheap accesories like tripods and bags here but thats it. 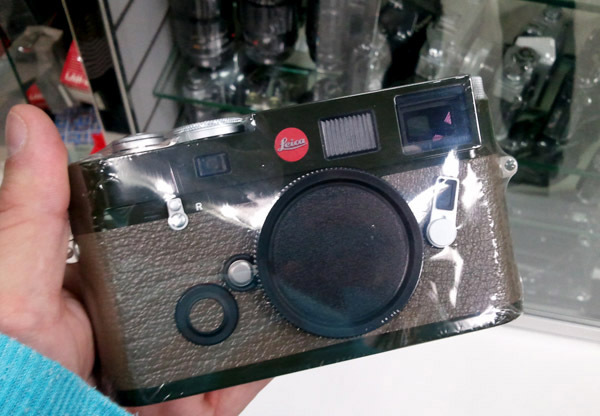 Besides this, I would be interested in an Ricoh Gr some advise would be welcome. 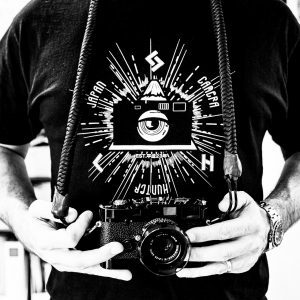 Film shooter living in Taipei here! Although Taipei cannot be compared with Tokyo in terms of film and analog cameras availability, I still think it enjoys quite a good health. I gathered some popular spots in the city on my blog, take a look if you come back to Taipei, and of course, let me know! We can go for some shooting together. 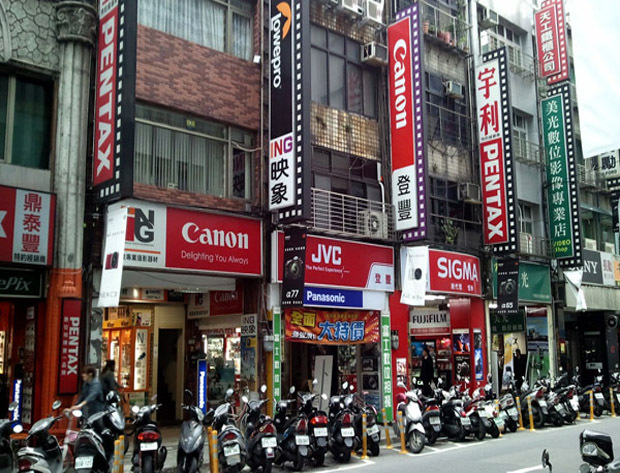 Although this post is old I want to let everyone know about another very good option for buying film, cameras and processing in Taipei now a days in 2018. Jump off at Taipei City Hall MRT station and you’re a little walk away from the shop. 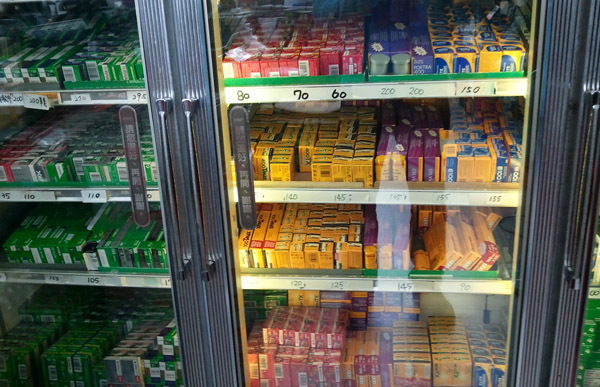 The shop is packed with old film. Many you can’t buy, but I’m sure everything can be bought for the right price. Staff is super friendly (foreigner here) and speaks English. Many old point and shoots and a lot of extra gear including JCH ‘day’ film cases etc. Prices are excellent and as expected. 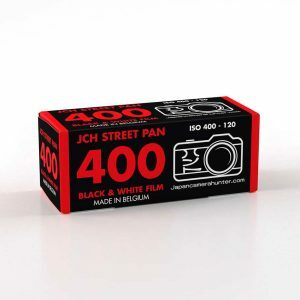 Film can be processed in 1-3 days normally, depending on film type and how busy. 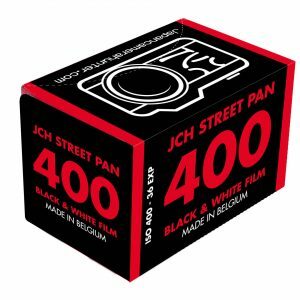 HIGHLY RECOMMENDED for any film shooters visiting Taipei! I’m making a quick trip to Taipei this early Dec. and would really love to visit this street! Am thinking of purchasing actual rolls there too (I’m scared my onhand rolls will be messed up by the X-ray and no one sells film shields here) so I was thinking it might be best to buy locally in Taipei. Happy to meet a fellow film enthusiast, who knows! Hi people! 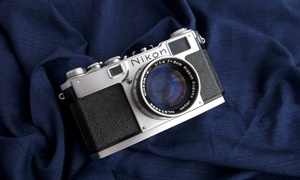 Im in Taipei right now, trying to get a modern nikon Z6 for my father. Still doubts, is it cheaper here or better Tokio? 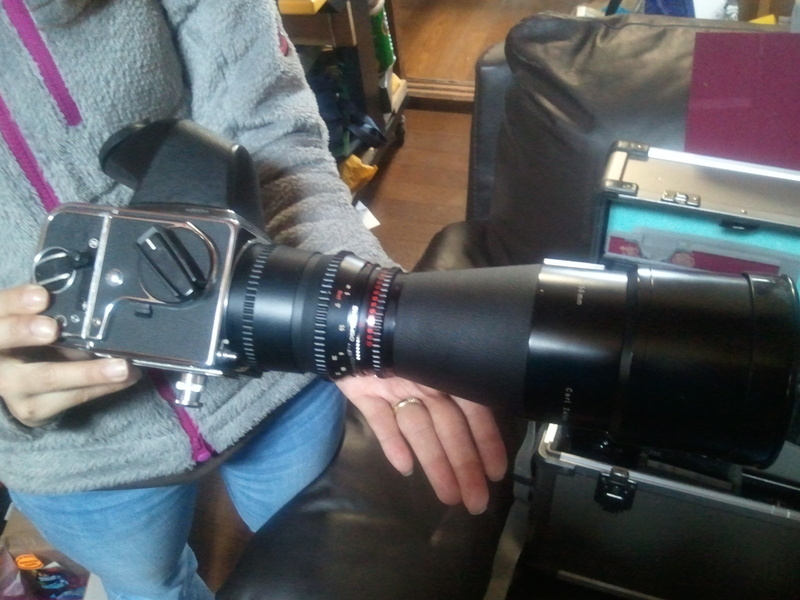 I found body, adapter and 24-80 for 80.000 taiwanese dollars, about 2.600 us dollars. What do you mean. I know, no compares to analog. I am sorry, I don’t know about digital prices. Thanks.